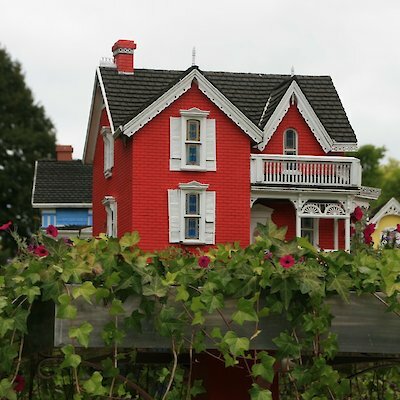 Where Can You Find This Niagara Village? 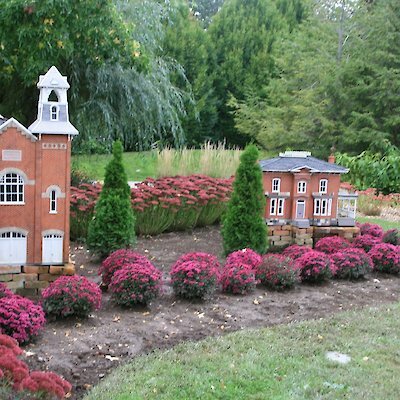 It’s actually a miniature village and it can be found at the Niagara Parks Floral Showhouse located at 7145 Niagara Parkway a quarter of a mile south of the Canadian Horseshoe Falls. The village was originally located in Whitby at Cullen Gardens. The garden closed in 2005 and in 2012 was purchased by the Niagara Parks and moved to the showhouse. 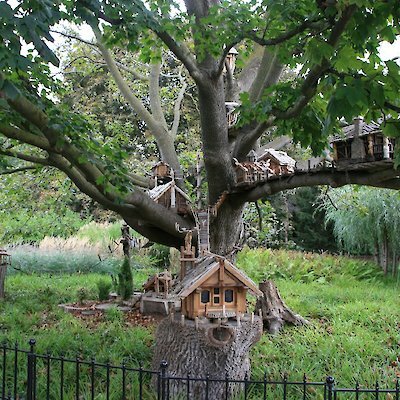 The majority of the homes are outside the greenhouse nestled in the floral displays and trees. This is the 70th year the Floral Showhouse (originally called the NPC Greenhouse) has been open. Right now, the showhouse is featuring its very popular Autumn display. There is a small admission fee. 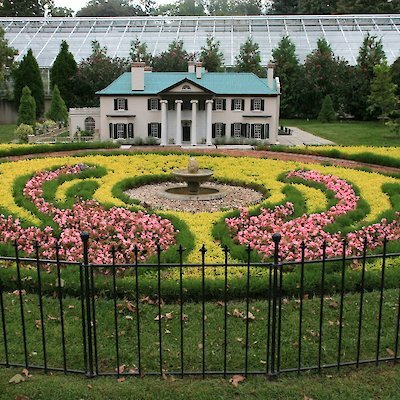 The Floral Showhouse is open daily between 9:30 a.m. and 5 p.m. Metered parking nearby.